I started the day by cleaning and cleaning. We are finally having a house warming/ birthday party (my birthday is in two weeks) so I am in charge of unpacking downstairs and sorting it all into shelves. It's going to be an enormous project! Outside of that it was craft group today. Because its school holidays I was free on a Monday and able to go. 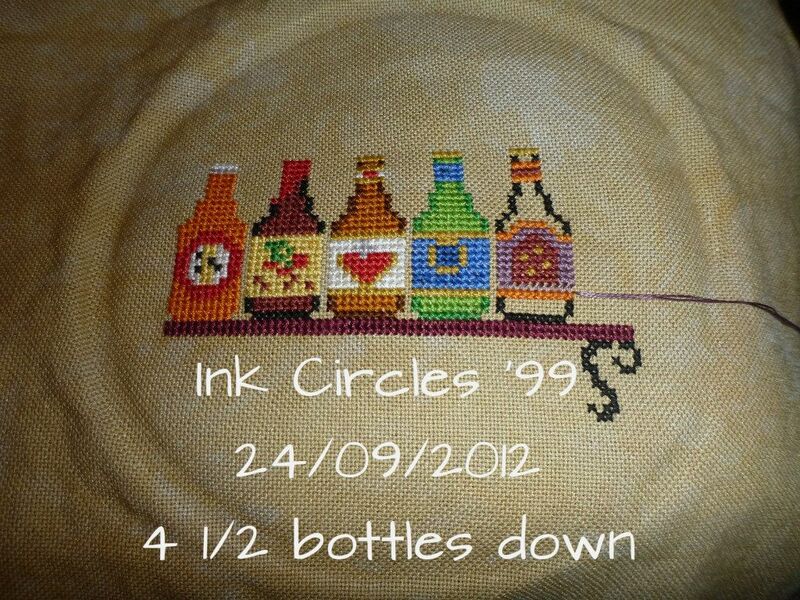 Which was very very very good for Ink Circles '99 I managed to get 4 1/2 bottles finished though I am probably short of my christmas goal because I can't stitch at night on it, because of Phill. I love how this stitches up. It's very fun. 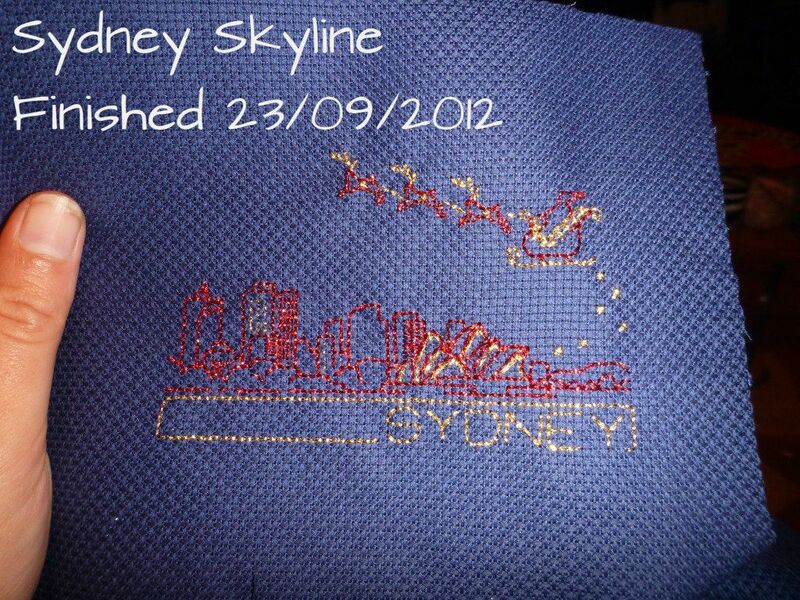 In the evenings and on the weekends I have been doing Christmas stitching. I finished another Skyline. The one for Sydney. Then I was talking to Rhona over at tangled threads and she mentioned that there are penguins on her site I hadn't bought yet. When I went to look I found there were 3 sets that I hadn't bought yet! 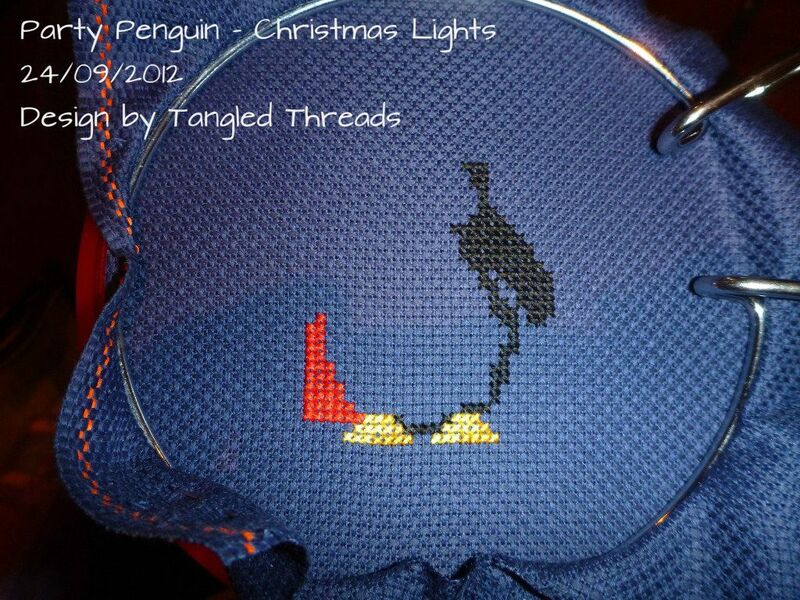 So here is my start on the Christmas Lights Party Penguin. Don't ask me why but I am doing it on the navy blue aida. I wanted to see the effect :D enjoying working on colour. 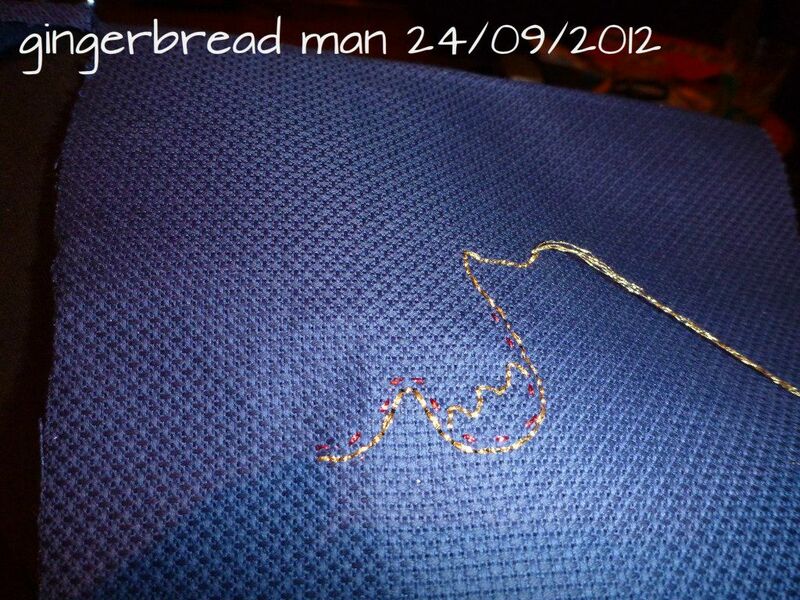 So I have been stitching busy and hope I can get some more bottles done tomorrow but cleaning comes first! My goodness! You have been very busy! And you keep teasing me with those beer bottles....must resist...must resist....nope, I don't think it's working! I think the penguin will look great on the blue fabric, all those bright Christmas lights will really pop against the darker background colour. Looking forward to seeing more! Love the 99 bottles of beer - I hope you manage to get time to finish it for Christmas. You did a lot of work! I love your ornaments on blue! Looking forward to seeing the penguins come to life!